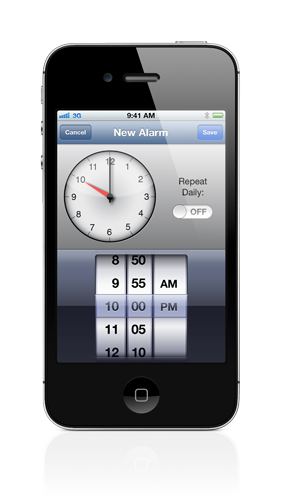 iOS alarm App that anounces the current time. 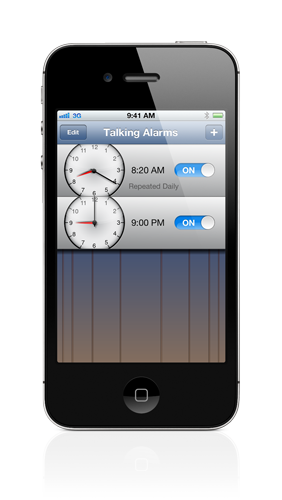 • Set yourself an alarm that speaks the current time when it goes off. • You can be woken in the morning with "The time is 8:00 AM" or be reminded when you need to leave work with "The time is 5:00 PM". Please note: Your device must not be set to silent, if it is set to silent the alarm sound will not play. • Free Download from the App StoreSM. Added option for alarm to repeat daily.